“The book means nothing. It’s a work of fiction,” Trump said, citing Gen. Jim Mattis, Gen. John Kelly, and Rudy Giuliani’s statements that the book was inaccurate. Trump commented on the book while meeting with Kuwait’s Emir Sheikh Sabah Al Ahmed at the White House. Mattis responded to the book forcefully on Tuesday. “While I generally enjoy reading fiction, this is a uniquely Washington brand of literature, and his anonymous sources do not lend credibility,” he wrote. Trump flatly denied one reported section of the book that said he ordered Mattis to assassinate Syrian dictator Bashar al-Assad. 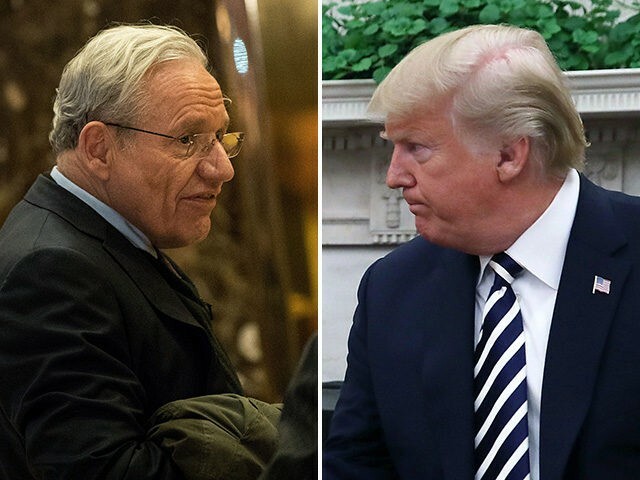 He suggested to reporters that Woodward was punching up the information in order to sell books. He accused Woodward of trying to distract from the confirmation hearings for his Supreme Court nominee, Brett Kavanaugh. “It was put out to interfere, in my opinion, at this time to interfere with the Kavanaugh hearings, which I don’t think it’s done,” he said. Trump did not apologize for any of the content in the book. “We do run a strong White House, there’s no question about it,” he said.